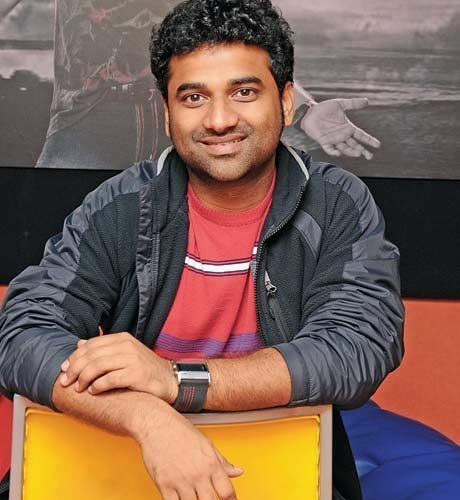 After the stupendous success of his recent Australia concert tour, 'Rockstar' Devi Sri Prasad is back in India with even more electrifying energy thanks to the shows. The music director is thrilled with the response which the teaser of NTR starrer Jai Lava Kusa has received so far, and he promises that there is lot more in store for his fans this year. While he's going to focus more on his upcoming projects which are nearing completion, DSP and his brother Sagar are all set to pay tribute to their father, Late Satyamurthy on the occasion of Guru Purnima. Over the past few years, DSP, Sagar, and rest of the family had been celebrating Satyamurthy's birthday on May 24, every year, by taking part in a wide range of charitable activities held under Sri Satyamurthy Foundation. Incidentally, the Foundation had initiated several social-welfare activities in Vedurupaka, where Satyamurthy was born. Since DSP was busy with his Australia concert tour this year on the occasion of his father's birth anniversary, he's going to take part in several welfare programmes in Mandapeta and Ramachandrapuram constituencies on July 9 and July 10. Eight years ago, Satyamurthy had initiated the Satyamurthy Donors Club through which several books were donated to hundreds of students in Vedurupaka, Mandapeta and Ramachandrapuram in subsequent years. This year, although DSP wasn't in India, his family donated several beds to the emergency ward at the government hospital in Ramachandrapuram, and also distributed fruits and food was served to nearly 300 patients in the hospital. "On July 9, we are going to felicitate 120 meritorious class X students, who have been chosen from 45 schools in Ramachandrapuram, Mandapeta and surrounding villages. Apart from giving them merit certificates and mementos, we are also giving each student a cash prize of Rs 5000, which will help them to buy books among other things," DSP said, adding that the event will take place at Ramachandrapuram Lions Club in the presence of lot of elders and others from these villages. Then, on July 10, two digital classrooms will be dedicated to government high schools in Vedurupaka and Ramachandrapuram where DSP's father, Satyamurthy had once studied. These state-of-the-art digital classrooms have already been built and are equipped with internet access, apart from being stocked several educational DVDs for the benefit of the students. "We are also giving away English dictionaries and spoken English books to 100 students, and school bags to 50 other students on the same day. All these activities are going to be done under Sri Satyamurthy Foundation," DSP added. Apart from focusing on the educational needs of students in these areas, Satyamurthy Foundation has also been doing its bit for the welfare of people in Old Age homes. "On May 24 this year, we had conducted an Annadanam programme for almost 100 people from the local Old Age home and also donated clothes. I thank each and everyone who came forward to contribute their bit for the welfare of kids and other activities, and anyone who is willing to take part in all these activities being done under Sri Satyamurthy Foundation is more than welcome to join us," DSP confessed. "I will always be indebted to the core team of 25 members, particularly Achanta Ram Babu garu, from the Satyamurthy Donors Club who have been a pillar of strength for us and helped us to organise all these programmes," DSP concluded.